Security is a must in the digitalisation of intellectual propery management. On the other hand, failing to take usability into account when deciding on security solutions, would create a security threat. So these two must walk hand in hand. Both high security and top notch usability have been taken into account in the development of Greip® right from the start of the operation of our company. In the security planning, we have chosen Secrays as our partner. 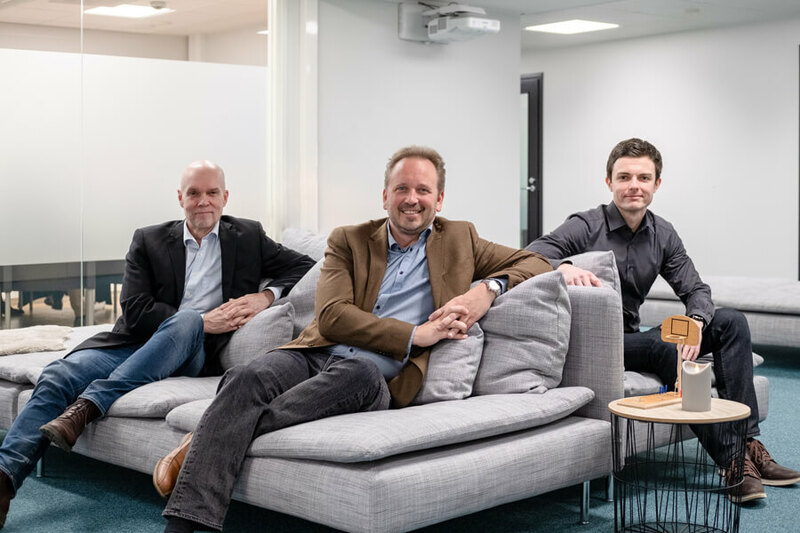 Secrays experts Pauli Kauppila and Janne Valo and Greip IP Solutions’ Managing Director Marko Rapeli (in the middle) shared their thoughts on security and company management. Photo by Joona Raevuori.